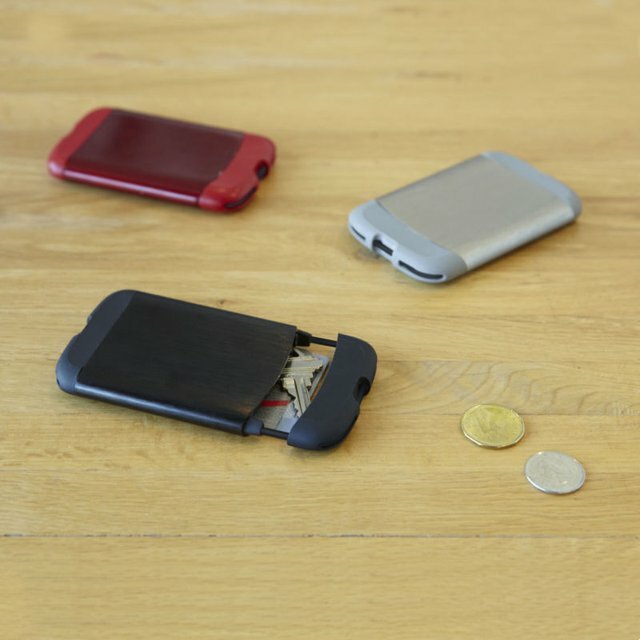 Carry business or credit cards in the stylish Umbra Bungee Card Case. This pocket sized aluminum carrying case with a soft molded cap opens and closes with an elastic cord. Available in black, red, and grey.